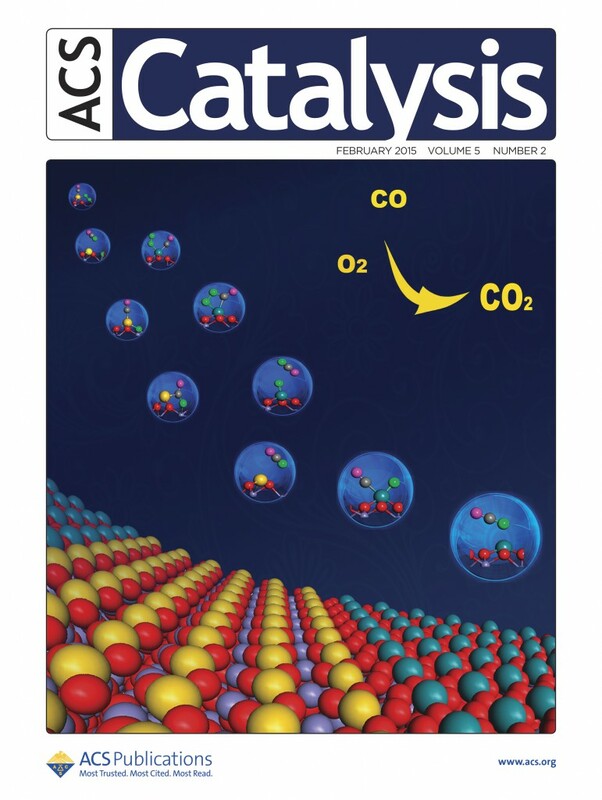 About the Cover: Density functional theory computations identified five FeOx-based single-atom catalysts with exceptional catalytic performance for CO oxidation (see page 544). Fengyu Li, Yafei Li, Xiao Cheng Zeng, and Zhongfang Chen. 2014. Exploration of High-Performance Single-Atom Catalysts on Support M1/FeOx for CO Oxidation via Computational Study. ACS Catalysis 5(2), pp.544-552.